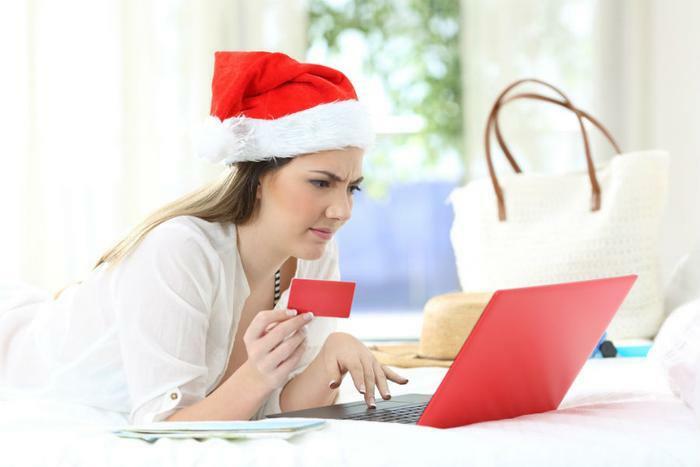 The holiday shopping season is now in full swing, and so is the holiday scam season. Criminals know consumers are in the mood to spend money this time of year and are thinking up clever ways to steal some of it. Moneygram, which in the past was scammers' favorite way of receiving money from their victims, is warning consumers to be aware of three major types of scams: Online shopping scams, fake charity scams, and anything requiring an unusual form of payment. Online shopping scams can take many forms but Moneygram warns that a common one is the offer of a big ticket item at a ridiculous price. Fraudsters often create websites that look like legitimate e-commerce operations. They run internet ads and create social media posts directing victims to those sites. If a victim makes a purchase they never receive the merchandise. Before buying from a company you've never heard of, use sites like ConsumerAffairs or conduct Google searches to find reviews. People often feel generous at this time of year, and scammers take advantage of them with phony charities. Victims are usually contacted by email, text, or even social media. One trick scammers employ is to create a name for their charity that sounds familiar, or is similar to a real charity. For example, a scammer might say they are collecting for the Salvation Corps, instead of the Salvation Army. It's best to not donate to charities you haven't heard of, but if you want to check out whether a charity is legitimate you can do so at www.Give.org. When it comes to receiving your money, you can be sure a scammer won't take a check. They usually won't even take a credit card, since consumers have the option of disputing the charge. They might ask their victims to wire the money, but lately, they are more likely to ask victims to buy a prepaid money or gift card and send them the access numbers. Keep in mind that no legitimate business or organization does that. "Protecting our customers from fraud is MoneyGram's top priority," said Andy Villareal, MoneyGram's chief compliance officer. "Raising awareness about the tricks that scam artists use to steal their hard-earned money is just one of many steps we take to help guard consumers from fraudsters." Earlier this month, Moneygram paid $125 million to settle Federal Trade Commission charges which charged the company of failing to fully comply with a previous order. A decade ago when wire transfers were the most common way scammers got money from victims, the company agreed to make changes to stop the scams. In the latest settlement, the government claimed Moneygram failed to fully comply with the provisions of the 2009 settlement.